Discussion in 'General Filmmaking Discussion' started by shorescripts, Mar 27, 2019. Our SHORT FILM FUND REGULAR DEADLINE CLOSES 31st March! 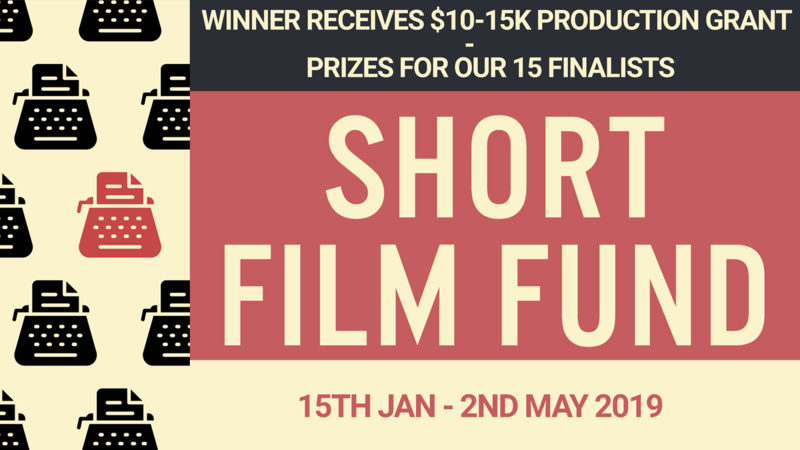 The Shore Scripts Short Film Fund offers an opportunity for emerging screenwriters and filmmakers to have their short film financed and produced. 2019’s Fund will award production financing for at least one short film with an allocated budget of up to $15,000 per project. JUDGES: The produced Short Film(s) will be sent to 34 OSCAR, BAFTA, EMMY & GOLDEN GLOBE-winning Judges. Plus, our Top 5 Finalists will also receive an exclusive feedback report from one of our Short Judges on how to best develop their project. INDUSTRY ROSTER: The produced Short Film(s) will be sent to our complete roster of 150+ production companies, agents, managers, and directors. SUCCESS STORIES: We have also helped 60+ writers gain representation, option, sell, and even have their screenplays produced. Our previous Fund winners have had their films screened at Tribeca, BFI London Film Festival, Austin, Edinburgh, Encounters, and LSFF. TOP 15 FINALISTS will have their scripts sent out to our short judges, industry & directors roster. SCRIPT SCORE: Each script is read twice in each round. Plus, you will be able to view your script score.